A check valve is installed about two to three joints above the ESP pump to keep the tubing full liquid when the pump is off. So that, it eliminates the time it takes to raise the fluid from its static fluid level to the surface. In addition, it eliminates the protective shutdown time for fluid fallback. When a check valve is used, it is recommended to install a drain valve. The drain valve is generally installed one joint above the check valve. The drain valve has a small drain plug in it, and dropping a bar inside the tubing string will break it and allow the tubing to drain. 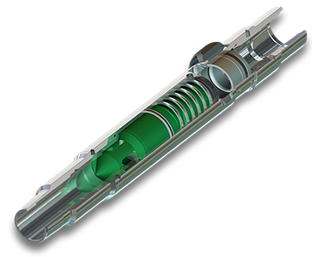 Downhole sensors are generally attached to the bottom of the motor. These sensors monitor the well pressure and temperature. In some types of downhole sensors, other parameters could be monitored (such as flow, motor temperature, pump discharge pressure, oil dielectric strength and vibration). The information is sent up the power cable to a surface readout in the motor controller. The down-hole data acquisition instrument can be very helpful in providing important production information. It can be used for the daily monitoring, production optimization, anomalies detection and troubleshooting. Centralizers are used to center the motor, pump, and cable during installation. It is recommended to use centralizes in deviated wells to allow proper cooling by keeping the motor centered. 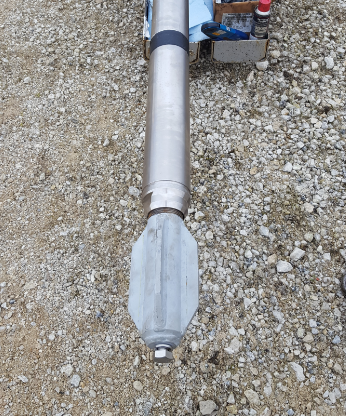 Furthermore, centralizers are used to protect corrosion coatings during installation (prevent tubing/downhole equipment friction). When centralizers are used, care should be taken to insure that the centralizers will not rotate. Tagged Accessory Equipment, Centralizers, Check and Drain Valves, Check Valve, Downhole Accessory Equipment, Downhole Sensor, drain valve, ESP Accessory Equipment, Junction Box. Bookmark the permalink.